The internet is no longer a luxury. It is seen as a necessity by most of us and rightly so. Right from stores to studies, a lot of it has moved on to the net. This shift from the real world to the virtual one has given rise to e-commerce, which has gone from being a forte of the larger companies to becoming a means of making money for the individual user too. There are many users who are buying new laptops and computers in order to connect to the net and make money online. One of the most attractive aspects of the online market is that it is alive round the clock which means that users can pick and choose a time convenient to them instead of having to follow a nine to five schedule. Of course there are some rules that do come into play in this arena too, but mostly it is a much easier place than the real world, when one is looking to make money. Almost everyone on the ecommerce circuit has heard of this one. Interestingly it still works and so the ship has not sailed yet for this one. The idea here is simply to join another merchant’s affiliate program and then promote that link on your website. If a prospect buys after clicking on your link, you get a commission from the merchant. Simple, easy, effective and does not require financial investment. The best part is you do not even need to have a product. Perfect online money making method for those new to ecommerce! All the worlds a market for online freelancers. 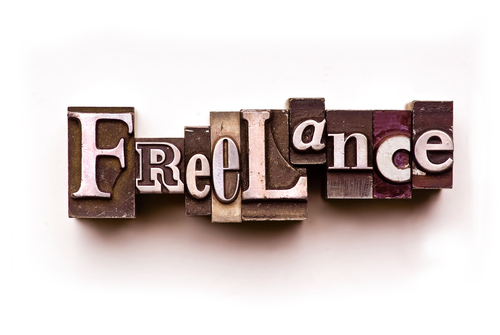 There are umpteen sites where freelancers are offering their services to a global market. We have writers from India working for sites run in the USA or even web designers from Australia working for some employer in China. Right from Elance to Guru, there are several sites one can sign up for. In some cases the membership is free while in others there is a fee involved. Of course here the competition is tough and it does take time to build a reputation for yourself. Whoever said what’s in a name was definitely not talking about the internet. Domain names play a huge role in ecommerce and there is significant profit to be made in the buying and selling of domain names. There is the GoDaddy site where one can buy the domain name from and then sell it for a profit. Again simple but does require a bit of an initial investment. Right from EBay to Quicker you can auction your stuff on all of it. The sign up is free and in most cases you will find a buyer who is interested in what you want to sell. In case you have a product to sell then launching an ecommerce website will also help you make money. The advantages here are that you do not need real time store space or sales persons and can get your product to the consumer without these expenses thus bettering your returns. Of course the investment of setting up site is required not to mention maintaining it and driving traffic to the site. Google Adsense will pay good money to those who have an active and popular blog. The idea here is simply to allow them to place a link on your blog and for every click you will be given a commission. Much like freelancers, bloggers also take a while to build up their popularity and the skill factor is very important indeed. If you have a flair for writing you can really make a lot of bucks online. Simply get your eBook in order and promote and sell it on sites like Amazon, Kobo and even Barnes and Noble. Keep in mind the competition is tough here since there are over 8 million books being sold on Amazon itself. The mobile market is merging with the internet at a rather fast pace. This is where mobile phone app testers are stepping in. The idea here is to test the new apps that are being created and try and identify the bugs in the programs. Testers are paid for discovering the bugs. This again is a task where building up a reputation comes into play. There are a lot of surveys that need to be filled out and they are up for grabs on the net. Some of these surveys pay well while others not so much. The trick is to look for sites where these surveys are available and then sign up for as many as you can. As an affiliate when a product sells you get a commission for the sale. However as a reseller you get 100% of the sales. Becoming a reseller does need you to invest some money, but if you choose your product carefully the profits are not too hard to come by. Here you buy the resale rights of the product and then sell it on your own. Here you buy in bulk from a manufacturer but do not collect the product. You then go on to sell the product on the net and for every order you receive the payment while the manufacturer ships the product to the buyer. 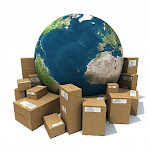 This allows you to make a profit without having to bother with the storage or the shipping. If you have the information to offer and there are people out there who want it then there is good money to be made from membership sites. Here the members pay a fee for signing up and then they are given the info they require via emails. 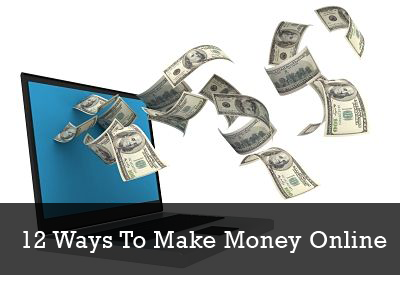 The number of ways that one can make money online is not limited to 12 but goes on and on. In the virtual market, like any other commercial place, vision is the key to success. Identifying the next big wave is the trick to making big bucks. Linda Williams is a freelance writer who writes passionately about gadgets and tech. She is from Denver, CO, where she lives with her husband and three daughters. Yes, your advice is excellent but it will be more effective when you post the opportunities (i.e. address of correspondence web address) of each way. Because everybody want to make money online, but mostly no body don't know where they can make money online. yeah you're right, Thanks for mentioning soon will write a detailed article about it. NIce and cool blog... Good work Admin!